Are struggling to lose weight? Do you feel overwhelmed when it comes to eating the right foods or knowing what to believe when it comes to diet and nutrition? Do you struggle with meal preparation, planning and grocery shopping? Do you have trouble sleeping, lack energy and feel discouraged when you see your reflection in the mirror? Are you ready to make a change? Want to feel confident and comfortable in your body? Develop a healthy and lasting relationship with food? Have more energy and enthusiasm for life? Get back on track with our Annual 4 Week, New Year Health and Wellness Challenge running from Monday, February 5th - Sunday, March 4th, 2018. Take control of your health and nutrition with our 4 Week Challenge. Get ready to drop the diet mind frame and learn first hand how to make healthy choices and develop lasting habits to optimize the way they look and feel for life. With a focus on Nutrition, Portion Control, Exercise and Daily Healthy Habits you’ll learn how to drop the “diet” mind frame and live a life of balance. Get ready to lose weight, slim down, tone up, and feel amazing! PRIZES: The top two participants with the biggest change in body composition will be awarded a Prize Package from local sponsors and True Conditioning including a subscription to our Online Curriculum Based Coaching Program - Pro Coach (valued at over $1200)! Before the challenge, come in to get your measurements done (Office hours to be posted or schedule a time in person) and be sure to sign up for our informational Health and Wellness Challenge Nutrition Seminar on Friday, February 2nd from 7-8PM. This seminar is designed to walk you thought the basics of healthy eating, how to set yourself up for success in terms of preparation and meal planning and to answer any questions you have leading up to the challenge. In this seminar and throughout the challenge, you'll learn how to build your plate, choose correct portions and make healthy food selections for your specific gender, size, physcial activity level, and/or fitness related goals. These tips will not only help you get you started with the challenge, but are aimed to help you create lasting healthy habits for life. Complimentary entrance to the Health Challenge Seminar on Wednesday, September 27th from 8-9PM. Community Support from a private Facebook group for Health Challenge participants to share recipes, acknowledge each other's accomplishments, troubleshoot challenges, ask questions, or share knowledge. New to True Conditioning or want to upgrade your pass for the length of the challenge? You can enrol in our Month Unlimited Nutrition Challenge Special for $185. Includes challenge registration and a month unlimited of group fitness classes to True Conditioning. "Last year I entered the Summer Slim Down challenge at True Conditioning. I thought it would be a great way to eliminate any unnecessary sugar from my diet. I stuck to the plan and ate really clean ( lots of protein and good fats). It also helped me cut back on my wine intake too. I made sure to sleep 8 hours a night, stretch and workout at least 5 days a week. I lost inches off my tummy, and 9 pounds. I felt confident and strong. Also, it felt good to take care of myself instead of just my family. And the prizes were fun. Who doesn't love Lululemon and Jar Stars salad? I sure do". 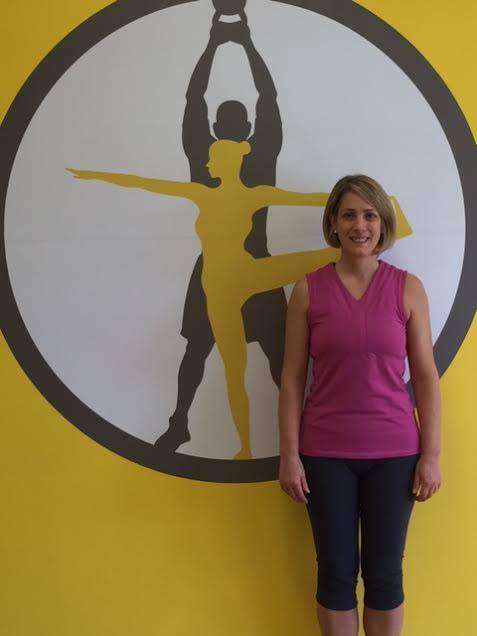 "I joined the Health and Fitness Challenge in the Fall of 2015 after completing my three months of personal training with Sophie at True Conditioning. When I first saw the plan, there were a few surprises under the foods to avoid like cheese, milk and edamame but Sophie took time to explain why these foods were on the banned list. Many of the guidelines like getting in enough rest and water were not surprising at all - it's really just common sense. After getting over the initial shock around the food and figuring out how to clean up my diet, I committed to the plan fully for the next four weeks. I shared my journey with my network on Facebook, too and it was fun to see how encouraging my friends were and how many people wanted to join me on this fitness and health journey. Through following the challenge's guidance, I became mindful of my health and nutrition and this resulted in a successful challenge. I lost 5 pounds in the first week and 7 more pounds for a grand total of 12 pounds and to top it all off, I dropped over 4% of body fat during this challenge. If you've ever wanted to make a major change and are looking for something to ramp up your health and fitness, you won't regret participating in True Conditioning's challenge this spring". Before the Health Challenge, I felt better than I had, after being at the gym for a number of month but wasn't seeing any substantive changes. I also knew that though I ate fairly well on many days, I was still eating too much of the wrong foods. I needed a jumpstart, but didn't realize how much the Health Challenge would help me. Once I signed up, I enjoyed the Health Challenge immensely, especially how well-rounded it was. The trainers are always so supportive and positive that I never felt that I wasn't trying hard enough. Consciously tracking food, exercise, sleep, water, etc. helped me identify the areas I struggle a bit as well as those in which I was doing well. It's amazing that still as an adult 'earning points' in a voluntary, honour system works. And it does! For example, I would push myself to go to bed early enough so I could earn those points. The true result though, was that getting enough sleep became a priority and I felt better. That is the power of tracking. That said, the way it was set up was very positive; I didn't feel bad when I didn't get all my points for the day; it just was a great reminder of where I could do better the next day. Over the course of 6 weeks, I lost 10 pounds and 2.5% body fat and have continued that pattern over that past 6 months. I haven't been tracking food, exercise etc per se since the challenge, but continue to consciously be aware of choices and make small adjustments when needed. However, I am actually planning to do more tracking again as I keep moving forward, as it was such an effective tool for me. I have always been up and down with weight and have some joint issues, so it is important to me to have a 'slow and steady' approach that I can sustain. If you are on the fence about joining the challenge, my advice is Do it! You will feel good and the trainers are so supportive. If you get nothing other than a visual illustration of your strength areas and areas to focus more on to work toward improving your overall health, it will be a win for you; and i"m sure you'll get even more out of it. I did! "After years of being a couch potato I made a decision to change my unhealthy life! I joined Team in Training and ran my first half marathon in 2010 then in 2011 ran my first and only full marathon in the beautiful city of Rome! Continued on my own and ran six more half marathons. Then I turned fifty and started feeling ill, everyone said I was going through the change, hot flashes, sleepless nights and no energy at all. After fourteen months of health issues I finally received the clean bell of health, unfortunately I was back to square one. Didn't matter how hard I would work out I was not getting any results and started getting a little depressed! Then Sophie started the Health and Wellness challenge, I thought why not….what do I have to lose? I've always kept my weight a secret and there I was having Sophie measure and weigh me, I have to admit I was a little embarrassed…….the food plan was quite simple, basically eat the way we have been told to since we were children and silly us never listed! I exercised four days a week with my fitness guru’s Sophie and Ryan and would change it up and go to a spin class twice a week. I’d get a little discouraged when the scale wouldn't show the results, although I was feeling stronger, healthier and full of energy. I’d let Sophie know about my frustration and she said put away the scale and keep following the plan….so I did. After four weeks I was shocked with my successful results. I also noticed that my hot flashes and sleepless nights were over! I’ve decided to continue the plan, maybe not so regimented…..I have a few more inches and a little more weight to lose. I can’t say enough about Sophie and Ryan they truly want to see their clients succeed - I can remember when I first started at True Conditioning I could barely do the exercises and thought I was over my head, but with Sophie and Ryan’s encouragement I’m now stronger and healthier! Thank you Sophie and Ryan for always pushing me to go a little further." Before the Health and Wellness Challenge I wasn't in control of my eating habits; I didn’t know what was good for me, and what was good for both physcial and mental my wellbeing. For me the challenge was exhilarating as I was able to find that I could manage without foods I thought I had to have, and found out that some of the foods that I had been eating, primarily wheat and dairy were actually having a negative effect on my well being. If you are on the fence about signing up, all I have to say is go for it! You will finish, feeling much better about yourself, much more in control of your eating habits, have more energy and have a stronger ability to go out there and do it! Before the Health and Wellness Challenge, I was working hard in the bootcamp and Tabata classes, but was not seeing any change in the scale or the way my clothes fit. I knew I needed to change my eating habits, but didn't have the motivation or commitment to do it. What was your experience like during the Challenge? The structure of the challenge helped me to stay focused. Earning points for wellness habits meant that we were constantly looking back at what we ate, drank and how much we slept and exercised. It meant we had to think about things all the time, and make intentional decisions. The lists of what counts as good food, and what to avoid, as well as simple tricks to eat the right amount (e.g. "cupped palm", "thumb sized", etc.) really helped. Posting online felt intimidating at first, because it wasn't something I cared to share with ALL of my FB friends, but those in the challenge group online were open and supportive. We truly had a great community, sharing recipes, suggestions, and motivation. And the group is a private online community, so only the group members see what you post. I wouldn't hesitate to post online next time. I lost ten pounds in 30 days, and two inches where it counted (plus an inch everywhere else). I felt great! And I still do, even though we've just come through the Christmas season and I cheated a little... okay maybe a lot. I'm trying to make the challenge steps a habit, rather than going back to the way I ate before. I'm also drinking a lot more water than I did before, and I've found some great go-to snacks and treats that won't send me plummeting back to that bloated place again. The good food, and more water, coupled with continuing to exercise has given me way more energy; I'm sleeping better and longer, and moving my body isn't hard anymore. It's fun! When I take the dog out, I chase him around the school yard and laugh when he chases me, rather than simply walking the pre-determined route. I like not feeling bloated, and am happier with what I see in the mirror. It makes me stand a little taller, and try a little harder. This challenge broke my motivation rut. What advice would you give to someone who is thinking about joining? Why not? You have nothing to lose, and everything to gain - you'll have encouragement, support, friendship, guidance, information and answers. Do it, you won't be sorry. "I took part in True Conditioning’s Health and Wellness Challenge, which started this January. I couldn't believe the results! I lost over 5 lbs and over an inch each from my waist and hips. It was just what I needed to kick start a healthy new year and get me back on track after the holidays. The food plan was simple and easy to follow and while it took a bit of getting used to (no chocolate!! ), I noticed after only a week that I had more energy and felt better. I feel stronger overall with TRX, Strength and Conditioning and Circuit classes and I notice I can hold a plank longer and do a real push up with less effort. I would highly recommend the challenge and True Conditioning to anyone. Sophie and Ryan are great - they are both supportive and friendly, but ready to push you when needed. Thanks!"